Distance from the Liberty Stadium: 184 miles ~ 3 hours 30 minutes. Swans fans are in the School End of the stadium. Make sure you get there 30 minutes before kick off as there are many security checks at the turnstiles, and you risk missing the start of the game. Hot dogs, pies and sausage rolls are sold. London is the entertainment capital of the country. From theatres to museums to concerts you are spoilt for choice and it is always worth making a weekend of any visit to London to watch the Swans. As you’d imagine, London has so many options to choose from in terms of accommodation – hostels, hotels, B&Bs, flat or even house rental! It isn’t the cheapest place in the world to stay but you can get some great deals if you shop around a bit. The nearest hotels to the ground are in the Shepherd’s Bush area of Greater London. As you can imagine there is loads of stuff that’s going on there in the UK’s capital city. Night Of The Living Dead Live! at Pleasance Theatre (N7 9EF) from 9th April – 19th May, tickets are £15 (Probably Safe Zone) to £40 (Splatter Zone 1). All seating is unreserved within each ticket band. Age Guideline: 13+. ‘Bond in Motion’ at the London Film Museum (WC2E 7BN) is the largest collection of official James Bond vehicles displayed in London. Tickets are £14.50 (£9.50 concessions/£38 family tickets) and is open every day. For a bit of Welshness in London, Swans fan Rhod Gilbert is at the Eventim Apollo in Hammersmith (W6 9QH) on the Thursday & Saturday night, tickets are from £33.75. Something different is The Slide at the ArcelorMittal Orbit at Queen Elizabeth Olympic Park (E20 2AD). It’s a 40-second ride on the tallest and longest tunnel slide in the world. Speed up to 15 mph down the 584 foot tunnel slide that intertwines with the Queen Elizabeth Olympic Park sculpture. The Slide has 12 twists and turns, a tight corkscrew and a 164 foot straight run to the ground. You can buy massively discounted tickets online at £11.50, £5.50 for kids and £8.50 for seniors. There are no pubs for away fans around the stadium. Shepherds Bush Green has a number of bars, however most employ doormen checking match tickets on entry and entry is refused to away fans. Avoid ‘The Springbok’ at all costs, away fans are banned and there will be problems if Swans fans try to gain entry. One exception is Belushi’s Bar in the Vue Complex (W12 8PH), opposite Shepherd’s Bush Tube Station. It has Sky and BT Sports. Another pre-match option is to visit central London, which is a short tube ride away. Uxbridge Road has the most diverse eating experience you could possibly ask for, as part of inner London, nearly every manner of food is available. You can ear Indian, Chinese, Thai, Lebanese and Indian kebab shops; who sell donar kebabs made with Indian spices. These along with the usual chippies and cafes sprinkled around the place. There’s very little parking near the ground. You can park on the road in this area (£6.60 for 3 hours), some areas are free after 5pm; be aware there are a number of restricted parking areas around the stadium. 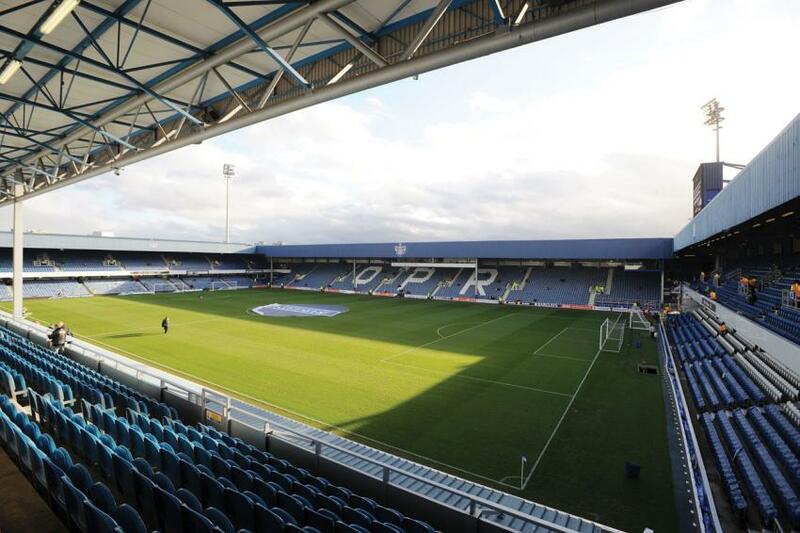 You can also choose from a selection of private car parking spaces near Loftus Road, including around 34 parking spaces which you can reserve for your visit from just £6.00 for the whole day. You can also park at the Westfield Shopping Centre (W12 7GF) in Shepherds Bush. Parking is £9.80 for up to 24 hours. Be aware that South Africa Road closes to traffic 90 minutes before kick-off and stays closed until 15 minutes after kick-off. At the end of the game the road is closed again 15 minutes before the final whistle and in place for an hour. There are a few pay and display bays in Dorando Close but you’ll have a long wait to get out at the end of the game due to the closure. The nearest tube station is White City on the Central Line, a 5 minute walk away. Also nearby is the Wood Lane Station, on the Hammersmith & City line, a 7 minute walk from Loftus Road. Shepherds Bush Market tube stations is on the Central Line, 10 minutes away and Shepherds Bush is on the Hammersmith & City line, 15 minutes away. The H & C is nearest to the ground which is a ten minute walk. Leaving either tube station turn right and the ground is down on the right. Note that despite the name, Queens Park tube station is nowhere near the ground. The nearest train station is Shepherds Bush, next to the tube station. However, it’s not directly served by any of the major London mainline stations but trains from Watford Junction and Clapham Junction stop there. Trains to Paddington leave Swansea at 07:59, 08:29 and 09:29, getting in at 11:01, 11:31 and 12:29. Trains back are at 17:45, 18:45, 19:15 and 19:45 getting to Swansea at 20:42, 21:43, 22:20 and 22:44.